Prudential Group Insurance, a unit of Newark-based Prudential Financial Inc., on Tuesday announced shifts among its senior positions, including a promotion and new hire, in a move underscoring the company’s commitment to expanding its core business and team. 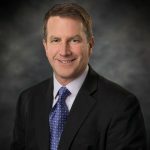 Chuck Brousseau has been named chief operations officer for Prudential Group Insurance, Jessica Gillespie has been promoted to succeed Brousseau as the head of distribution for PGI, and Tim Weber has joined the company as vice president, voluntary benefits distribution and workplace markets. Both Gillespie and Brousseau will also serve as members of the Group Insurance Strategic Leadership Team and report to PGI President Jamie Kalamarides. Weber will report to Gillespie. 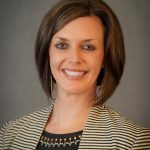 Prior to her promotion, Gillespie served in roles including vice president and head of national accounts, vice president of strategic partnerships and distribution excellence. She also created and led the Key Accounts Program, PGI said. Weber joined Prudential on April 8. He will be responsible for the growth and retention of employee-paid insurance products for the group workplace and developing employee engagement with the Group Insurance’s wellness product and service portfolio. Weber previously served as the national leader for voluntary benefits and marketplace solutions at Mercer. PGI manufactures and distributes group life, long-term and short-term disability and corporate and trust-owned life insurance to institutional clients, mostly to be used as employee and member benefit plans. The company also provides administrative services in association with its insurance coverage, and for employee paid and unpaid leave.